Shelley Moore is a journalist and award-winning short-story writer. She specializes in writing about personal development, health, careers and personal finance. Moore has been published in "Family Circle" magazine and the "Milwaukee Sentinel" newspaper, along with numerous other national and regional magazines, daily and weekly newspapers and corporate publications. She has a Bachelor of Science in psychology. As a natural fruit-derived additive to foods and beverages, bergamot oil brings a distinctive citrus flavor to items such as Earl Grey tea. Aromatherapy also uses bergamot oil to relieve anxiety, depression and tension, and the oil is included in lotions and body oils for its soothing aroma and anti-inflammatory effects. Because of possible side effects, people should use bergamot oil with caution. The component bergapten is responsible for some side effects, but bergapten-free bergamot oil is available. Like other essential oils, bergamot oil can be very irritating to the skin unless it is heavily diluted. Even then, bergamot oil can cause side effects in some people. As listed by eMedTV, these effects include blisters, scabs, redness and skin pigmentation changes, mainly lightening effects. Some people use bergamot oil to help even out pigmentation lightening due to the disorder vitiligo, but the effects may not be consistent. Bergamot oil applied to skin can cause extra sensitivity to the sun -- photosensitivity -- that can result in severe sunburn and cell changes that can lead to skin cancer, according to Drugs.com. This effect is primarily caused by the component bergamottin, which absorbs ultraviolet light. It can continue up to 72 hours after bergamot oil is applied. 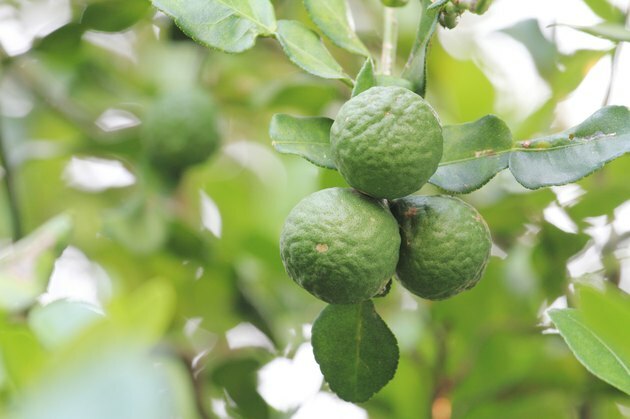 Consuming bergamot oil that contains bergapten may decrease potassium levels in the body, which can lead to muscle cramps and muscle twitching, according to Drugs.com. One case report involves a man who consumed about 1 gallon of bergamot-flavored Earl Gray tea daily and developed muscle cramps, twitches, abnormal sensations and blurred vision. Does Olive Oil Contain Vitamin E?